What Does the Resonant Head Do? Many of us have no idea what we are letting ourselves in for when we start playing drums. 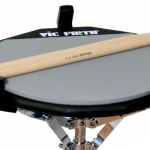 Most of us have no idea what a resonant head is when we start playing, but given a little time most drummers want to tweak their sound, and getting the best bass drum resonant heads can be the perfect way to customize. Drum heads are vitally important to the sound and should be replaced from time to time as a matter of course. In this article, we’re looking at resonant bass heads, one of two different drum heads that should be on your kick drum. 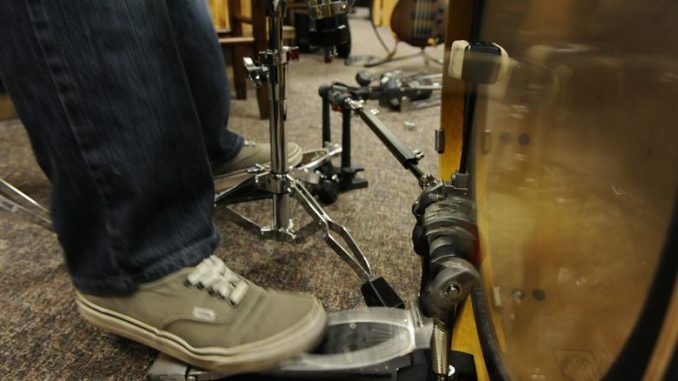 The resonant head is on the other side to the batter head, where the pedal makes contact with the kick drum. The batter head is where the main ‘attack’ of the sound and the resonant head is responsible for the ‘sustain’ of the sound and the ‘resonance’ (of course). It reacts to different frequencies to the batter head. 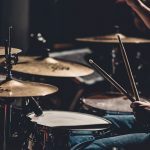 This can have a big impact on the sound of your bass drum and different tunings can be more suitable for different styles or genres, whether you’re a rock, metal or jazz drummer you can alter drum heads and tunings for your overall drum sound. Drum heads are available in single-ply or double-ply. Single has a fast response and can have a bit of a brighter resonance and sustain. 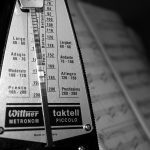 This can be a good choice for drummers who use their dynamics a lot. Two-ply, as you may expect, are tougher and more rugged, so those players who can be vigorous are less likely to have to worry about replacing their heads in a hurry. They also have a thick, punchy sound and are often used in heavier genres of music. That said, there are great options for both single and double ply drum heads and either can work well. Many of the resonant drum heads we’ve seen are single-ply and work fine for pretty much any genre of music. The ply of drum heads are measured in mil, and the thickness can be seen on the description of the individual heads. Generally, the thinner the ply of the head, the brighter the sound. Evans is a brand who pretty much have you covered as a drummer. They offer a range of products, and some of the best drum heads on the market. Their resonant kick drum heads are called ‘REMAD’ and are immensely popular. So what exactly is the fuss about? Made with a single ply 7.5mil film. A 4-inch mic port with a plastic sleeve to help with the pitch and the attack of the kick drum. Designed for use with the EMAD batter heads but this is not essential. Available in kick drum sizes from 18″ to 26″ (18, 20, 22, 24 and 26-inch models). Combined with your batter head of choice, this can make tuning a lot easier and open up sonic possibilities for your drum kit. The full sound that this can provide is great for all drummers. I do recommend combining this with the EMAD bass drum batter head, they are designed to go together sonically and create an exceptional overall sound, and the flexibility to reach the level of attack and resonance you want for your kick drum sound. As reso heads go, this is another one of the very best. Aquarian are a brand who are making waves in the world of drum heads and this is one of the best we can recommend, with a huge amount of very positive reviews and some even describing it as their favorite resonant head. 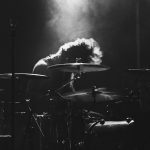 It is clear that many drummers experiment with a lot of drum heads before finding their sound, and those who have settled on the Aquarian heads seem to be very happy with how it brings out the sustain and resonance in the bass drum. For a thick bass sound, the Aquarian is hard to beat (no pun intended). They do offer batter heads as well, and combining the two can give some very good results. Some drummers have described this as giving them the full ‘punch’ they need from their kick drum. It can even be used as an alternative to a muffler or a blanket or duvet within your drum. The 10-inch felt muffling ring is to thank for this. The Aquarian drumhead is a 10mil ply head and is available in gloss white or black. Their reso heads are called Regulators while the batter heads are known as Super-Kick and Impact. These can be combined if you like to stick to one brand. The tuning process is simple, the results are great, and for a relatively low investment, you can add another dimension to your kick drum sound by adding an Aquarian ‘Regulator’ to your kit. Evans really dominate the choices for resonant heads for kick drums. Designed and made in the USA, the build quality of most of their drum accessories is impressive, and the ONYX drumheads are no different. Just like the other Evans heads, this is available in a wide range of sizes so whatever the diameter of your bass drum there will be something to suit you. 18, 20, 22, 24 and 26-inch sizes are all available just like the other heads they offer. Unlike many of the other heads on the market, these offer many different designs including frosted, onyx, smooth white and coated white designs. This is never the main criteria for sound, but it is good to be able to get something that looks cool. The ONYX drum heads are made of 7 mil film and have a coating on them in a matte style, this gives a punchy and dark quality to the sound. A five-inch offset mic port enhances the resonance and sound whilst providing simple mic placement for recording. Evans’ range is impressive and their drum heads are one of the reasons the company is so well regarded. They are owned by D’addario, one of the top instrument manufacturers on the market. This can be daunting to start with. However, as with most things music related, there’s a tutorial to make your life easier. You don’t have to be a professional audio engineer to do this and it is a useful skill for all drummers out there to learn how tuning and replacing drum heads and reso heads works. Resonant drum heads should be seen as one of many tools for drummers to improve the tuning and overall sound of their kit. 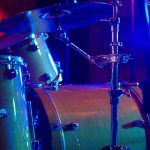 Once you get into the individual nuances of drum kits, it is important to tweak and get your beloved kit to the exact sound and feel you want from it. 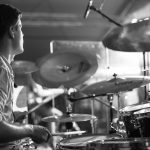 Drum heads can be a confusing subject if you are a relative beginner, but you can quickly get to grips with them and work out how they can wow your audiences and improve your recordings.